Thursday, October 22nd, The Roys captured their fifth consecutive Inspirational Country Music (ICM) Inspirational Bluegrass Artist of the Year award and their seventh year in a row for an ICM Award. Elaine Roy says, "As I reflect on this incredible evening, I know I am blessed beyond words. So many people really touched my heart tonight with their kind words. Forgot to thank so many people but everyone who has helped us on this journey from our parents, family, friends, band members, radio DJs, fans, label, managers, publicist, festivals, promoters, ICM, our peers, I am sure I left a million people out, thank you for always inspiring me to do my best. And to God be the glory." Nashville, TN -- The Inspirational Country Music Association is pleased to announce the top-5 finalist for the 21st Annual Inspirational Faith, Family & Country Awards™, to be held at Cornerstone Nashville (726 W. Old Hickory Blvd., Madison, Tenn.) on Thursday, October 22 at 7:00 P.M. Each year, the awards honor and showcase the biggest names and emerging talent among artists who perform Inspirational and Christian Country music. This year’s finalists include such notables as Rhonda Vincent, Hunter Hayes, RaeLynn, Joey + Rory, Craig Wayne Boyd, Mary James, Laura Dodd, Kristina Craig & Exit 148, Chonda Pierce and more. Tommy Brandt leads the nominations with four nods. His son, Tommy Brandt II, is also nominated for the Youth in Music award, giving the Brandt family a total of five nominations, followed closed by the McDougal family, who garned four nods in various categories. For more information on the ICMs, please visit www.FaithFamilyCountry.com. Nashville, TN -- The reigning Inspirational Country Music Bluegrass Music Artist of the Year, The Roys, are among the Top 5 nominees in three categories for the 18th Annual ICM Faith, Family & Country™ Awards, scheduled to be held October 18 at Schermerhorn Symphony Center in Nashville. 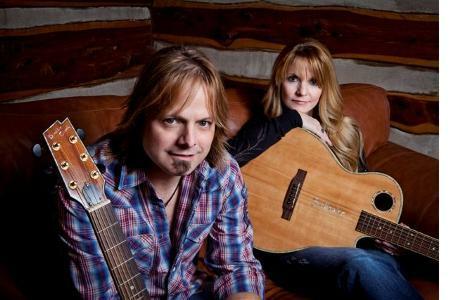 The siblings are honored to be eligible for Entertainer of the Year, Vocal Duo of the Year and Inspirational Bluegrass Artist of the Year awards. "Folks always say how humbled they are to be nominated, and I know it's true for us," says Lee Roy. Adds Elaine, "To be in the company of artists we have admired for many years is incredible." Nashville, Tenn. (December 14, 2011) – The 17th Annual Inspirational Country Music Association's Faith, Family & Country Awards will begin airing just in time to be "inspired" for the Christmas season. The award show will air this Saturday, December 17 at 4:30 P.M. (CST) on TCT Network and will re-air on Sunday, December 18 at 7:30 P.M. (CST)**. In case you miss it, you can catch it again on Saturday, January 14 at 7:00 P.M. (CST) on the NRB Network. Hosted by Inside Edition's national correspondent anchor Megan Alexander and GAC's popular entertainment news anchor, Storme Warren, the annual award show honors and showcases the biggest names and emerging talent among artists who perform Inspirational Country music. A few of this year's honorees include Ricky Skaggs, Lady Antebellum, Justin Moore, Jeff Bates, The Fox Brothers, Joey + Rory, The Roys and the movie "Soul Surfer." Nashville, TN -- The Roys were named Inspirational Bluegrass Artist of the Year during tonight's 17th Annual ICM Faith, Family & Country Awards show. Siblings Lee and Elaine performed "That's What Makes It Love," with special guests Ricky Skaggs and The Whites, before a sold-out crowd. 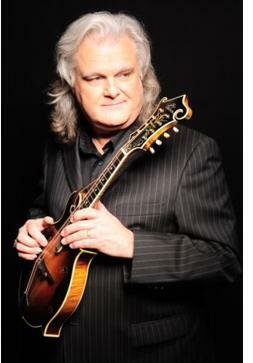 The song is from The Roys' current CD, Lonesome Whistle, which was recorded at Skaggs Place Studio and released in March on Rural Rhythm Records. The Awards show was held at Nashville's Schermerhorn Symphony Center, and co-hosted by GAC-TV's Storme Warren and Inside Edition's Megan Alexander. 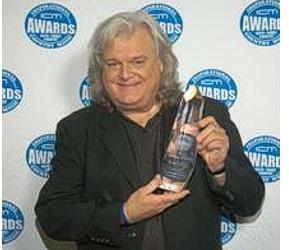 Nashville, TN (October 28, 2011) -- Music icon Ricky Skaggs was named Entertainer of the Year and Musician of the Year at tonight's 17th Annual ICM Faith, Family & Country Awards Show. Held at Nashville's Schermerhorn Symphony Center, the star-studded evening included a memorable performance of "Somebody's Prayin'" that featured Skaggs, John Elliot and six members of the Nashville Symphony Orchestra. The track is from Ricky's July-issue CD, Country Hits Bluegrass Style. The show was co-hosted by GAC-TV's Storme Warren and Inside Edition's Megan Alexander.